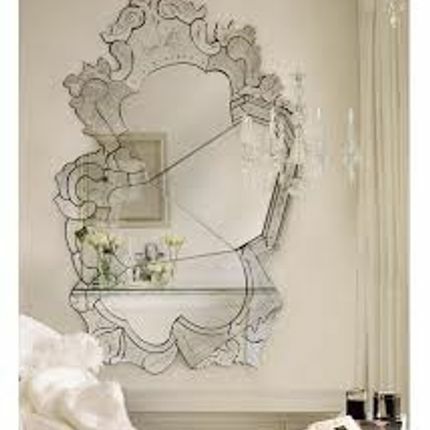 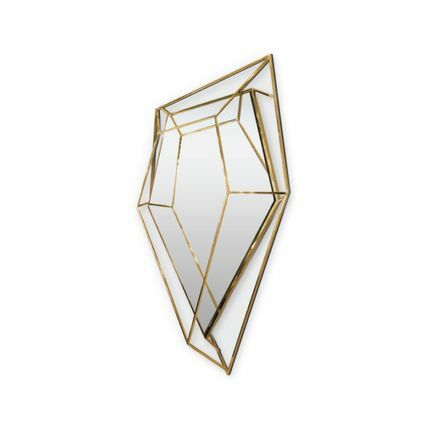 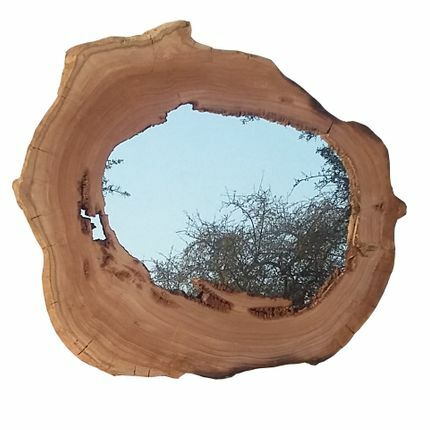 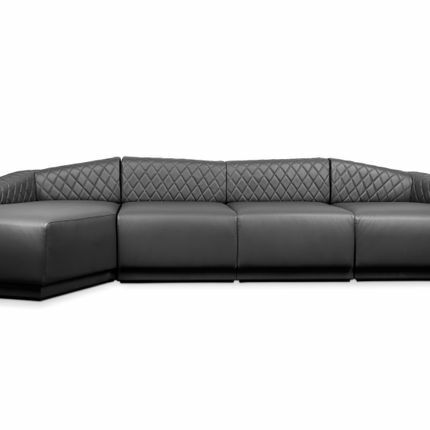 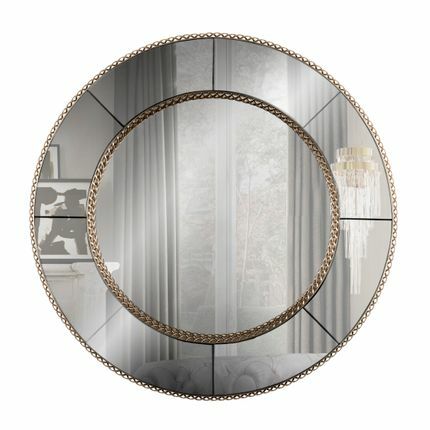 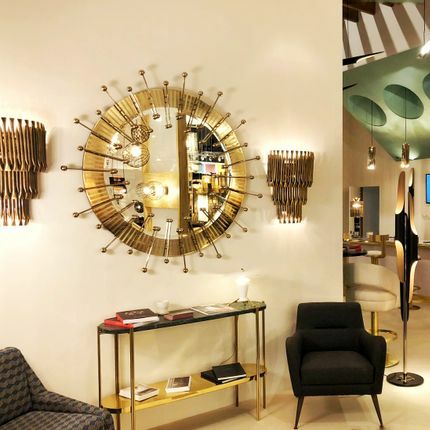 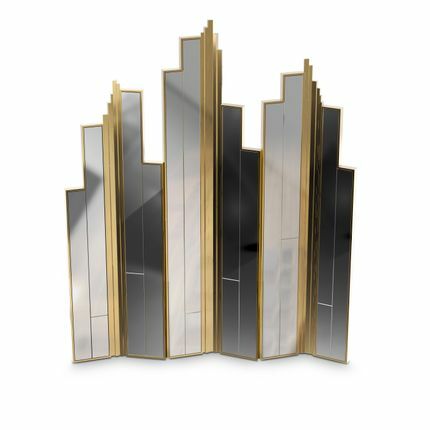 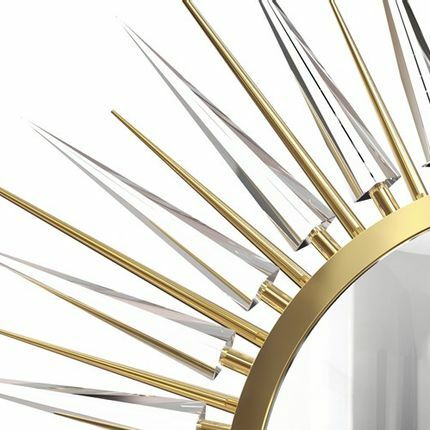 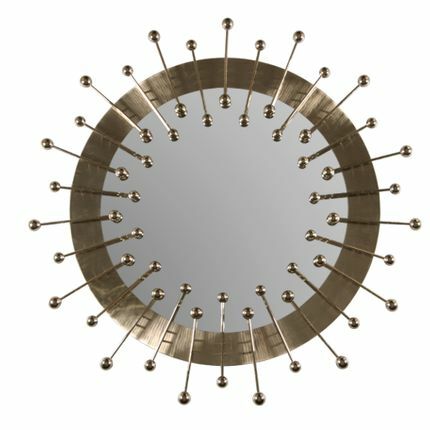 A royal crown, Mcqueen is a decorative wall mirror that approaches the epitome of contemporary and luxury design. 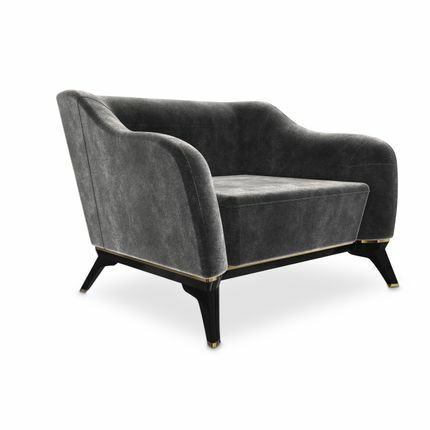 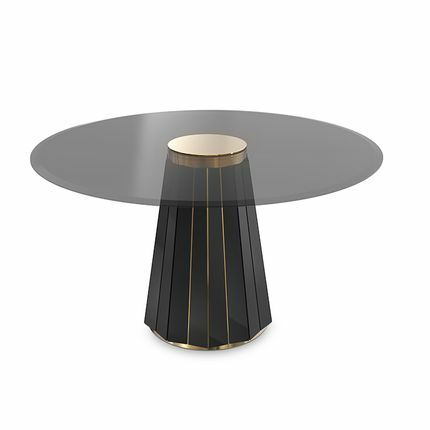 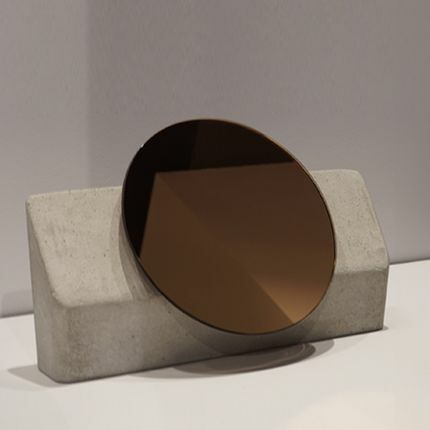 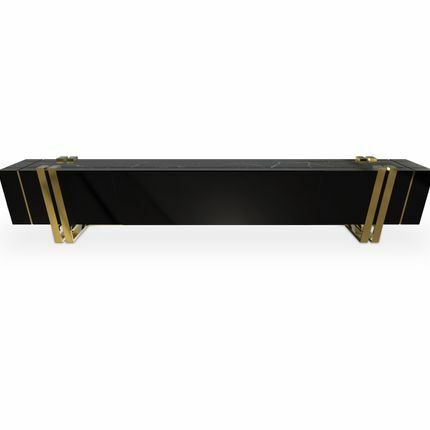 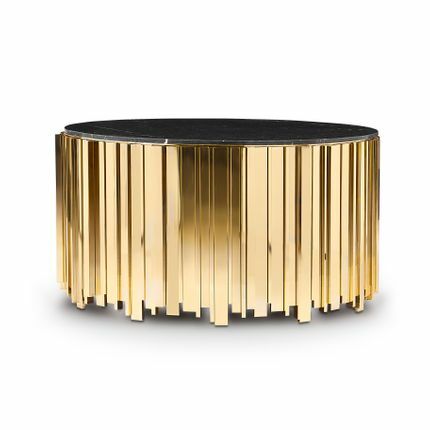 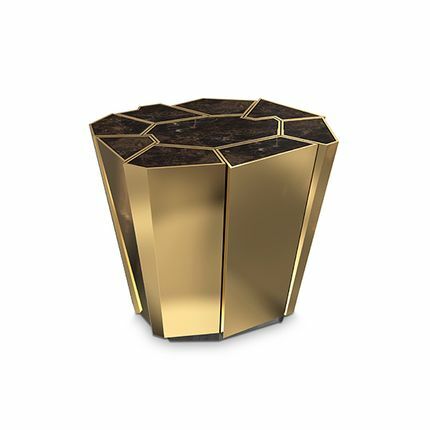 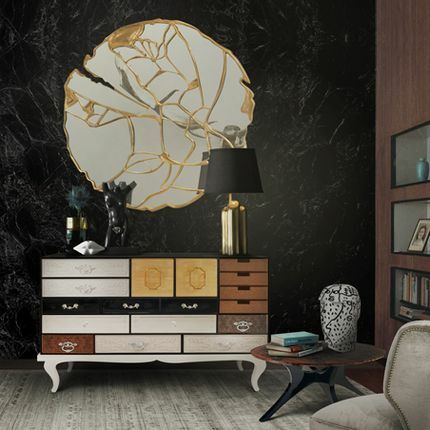 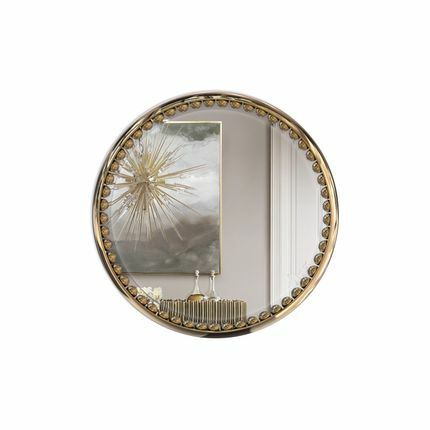 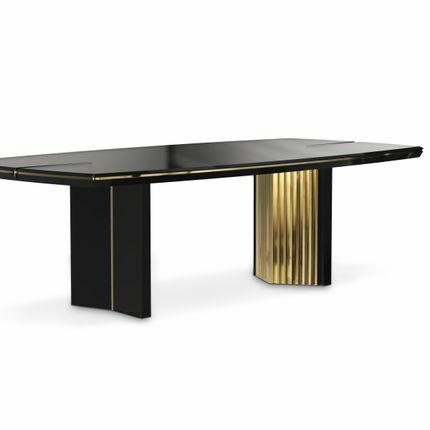 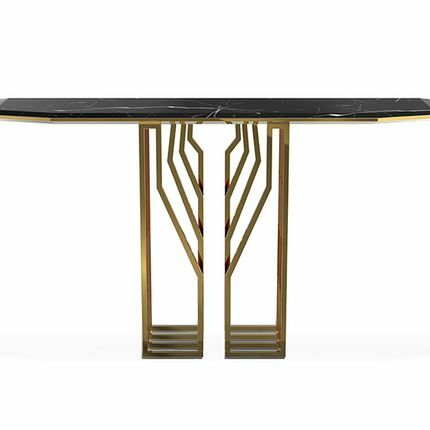 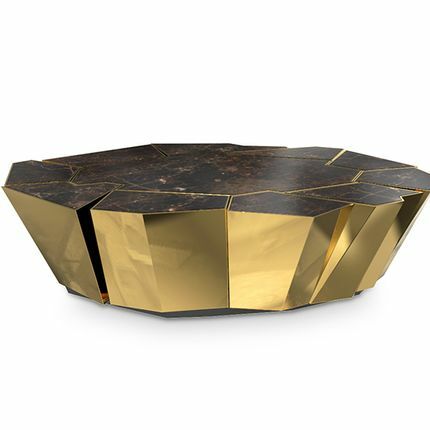 Inspired by nature’s beauty, this elegant golden mirror features a smoked black mirror base that is topped with an opulent decorative ring. 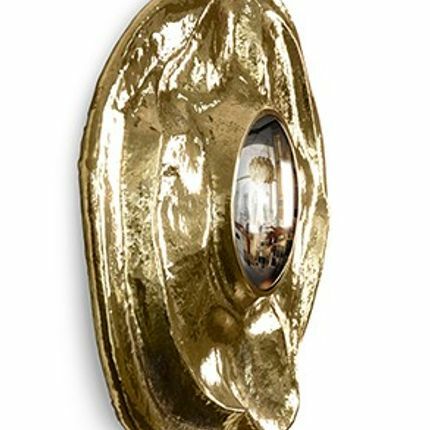 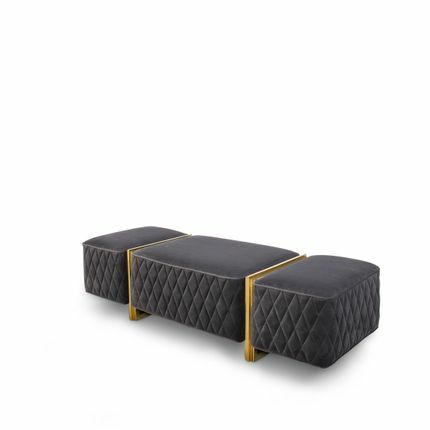 A handcrafted gold-plated brass frame wavers around the outer edges, while leaf-shaped surfaces add a final shimmering look. 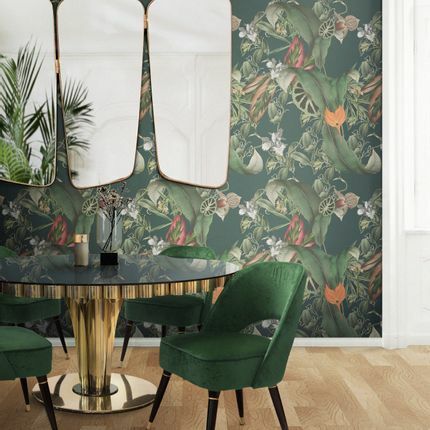 A set of 6 lighting bulbs are hidden underneath its elegant foliage.